Leonardo DiCaprio during his Oscar acceptance speech on climate change. It is that time of the year, once again, when the red carpet has been dry-cleaned, the awards polished, the glamour on point and we breathe stardust. It is the annual ceremony of the Oscars. This year preceded by the movement #metoo and the Time is Up to make a statement and take action on the gender gap and misconduct of certain sectors of the industry regarding women. Hence we foresee a ceremony full of activism by women, for women and from the men that love women. But before this movement got to this point, we cannot forget the celebrities; actors that have been supporters, defenders and protectors of the Ocean specifically and the ultimate feminine power: Mother Earth. There are far more that should be in this list, but here are the ones that have a bond and commitment to the Ocean specifically. Here is a list of green celebrities. And we are not referring to macrobiotic diets types á la Gwyneth. 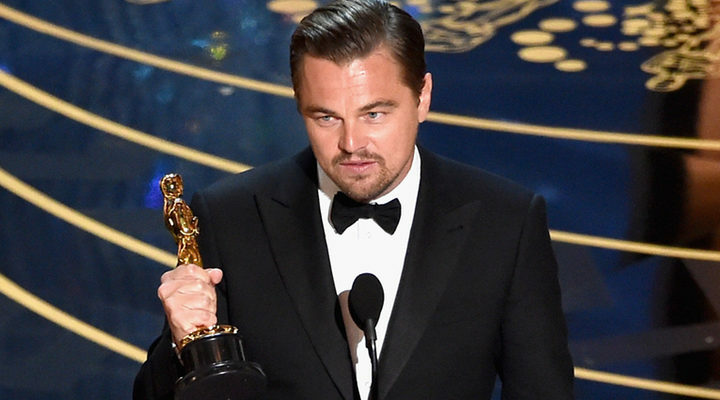 The one time Oscar winner Leonardo DiCaprio is well known for his advocacy and dedication to environment. Concerned about the preservation of the oceans and the need to act upon climate change, the actor started his activism right after a meeting with former president Al Gore at the White House in 1998. That same year he funded the Leonardo DiCaprio Foundation. His foundation donated 3m $ to stop overfishing, another 3m $ to protect the tigers in Nepal, and funding Sala´s initiative to create marine reserves in the Pacific. The LDC Foundation donates $20million grants to environmental enterprises, from preserving wildlife to combating climate change, having a financial direct impact of over $80million. He used his Oscar´s speech in 2016, after his 6th nomination, to address the urgency of climate change and how it is time to step in and take responsibility without further procrastination. Of Apache descent, Mr. Grenier has become one of the loudest voices in Ocean preservation with his foundation Lonely Whale. 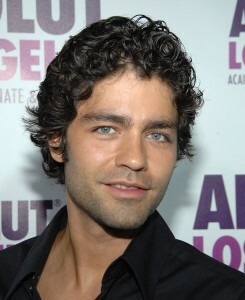 His actoral career includes titles such as “Devil Wears Prada”, rom coms such as “Drive me Crazy”, lately “Marauders” and as the main character of the HBO hit series “Entourage”. His work with Lonely Whale, goes from Strawless in Seattle a campaign that aimed to remove 2.3million straws or #stopsucking to avoid the use of plastic straws overall. What is interesting about Lonely Whale is its approach to “selling” environmentalism as if a brand were to do so. Therefore, it works as a preservation but also as an education agency. And this we love. Somewhere in the very back of our collective memory, we have stored the 1995 dystopian film Waterworld. Kevin Costner is the hero in this world where the polar ice caps have melted covering the world in water. The Mariner (the role played by Costner) will be in charge of taking some of his peeps to the never seen dry land. This eco story appeared perhaps a bit too soon, however inspired by this film Costner and UCLA professor Eric Hoek partnered up in 2010 after the BP spill in the Gulf of Mexico. Hoek and colleague Subir Bhattarcharjee, together with Kevin Costner and Rob Lake as the main investors started the company Water Planet. With the solely idea of developing devices to clean the water, Water Planet is becoming a powerhouse in the matter. 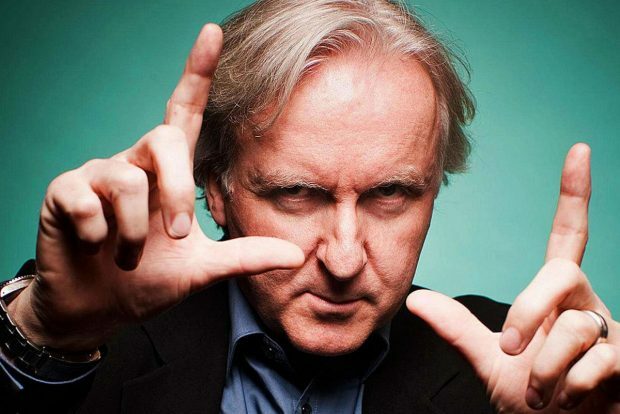 Awarded film director James Cameron is the mind behind blockbusters such as the unforgettable story Titanic, but more so Avatar as the ultimate environmentalist film with a clear message to protect the environment. He is a passionate environmentalist and advocator for sustainable living, he has put this to practice in his very own house and in the filming industry. She will always be the adorable mermaid in Splash! But later on she became a true Ocean warrior an activist and environmentalist. She is one of the three female founders of the Sustainable Biodiesel Alliance (SBA), and she is part of several environmental advocacy boards such as the Environmental Media Association (EMA), as well in the Ocean super heroine Sylvia Earle Alliance and her Mission Blue and the Action Sports Environmental Coalition.